South Luangwa National Park, in eastern Zambia in the valley of the Luangwa River, is a world-renowned wildlife sanctuary of unspoiled beauty. It is so unspoilt and natural that it has been described as what some of Africa’s other most famous parks looked like 50 years ago. 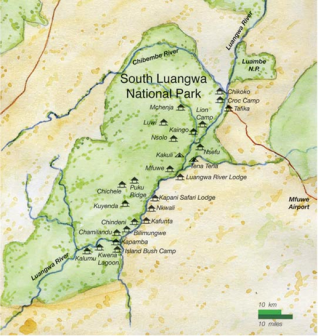 Amongst many others, South Luangwa is a favourite place of best-selling novelist, Wilbur Smith. The Luangwa Valley is “off the beaten track” and a natural barrier to human migration and transport as no roads pass through it, a factor that has helped to conserve the wildlife and the precious solitude – the two major attractions that draw guests to the area. Founded as a game reserve in 1938 and proclaimed a national park in 1972, the 9,050 sq. km South Luangwa Park offers visitors an array of small tented and thatched bush camps and lodges from rustic to luxurious, all-exclusive style. The majority of the accommodation in the area is intimate tented or thatched camps catering from 6-12 guests, although one very worthy exception is Mfuwe Lodge. This camp consists of 18 thatched chalets and is set in a prolific game-rich area inside the Park, five minutes from the main gate. Mfuwe is situated under a canopy of ebony and mahogany, it features an extraordinary occurrence every November when elephants regularly wander through the lobby, lured by a nearby wild mango tree as shown below. Mfuwe International Airport is located just outside the park and most visitors arrive on scheduled flights (1hr 10min) from Zambian capital Lusaka. Lodges collect guests from the airport in safari vehicles. South Luangwa is also a popular add-on destination from Livingstone after visitors have been to Victoria Falls, though the scheduled flight to Mfuwe is via Lusaka. Lusaka’s Kenneth Kaunda International Airport (LUN) is the major gateway for international visitors and airlines such as Emirates (from Dubai), British Airways (from London), South African Airways (from Johannesburg), KLM (from Amsterdam) and Kenya Airways (from Nairobi). Leading airlines offering scheduled flights are Pro-Flight (www.proflight-zambia.com), who operate Jetstream aircraft. Their fleet consists of two 29-seaters and three 18-seaters. Flights from Lusaka are currently on Mondays, Wednesdays and Saturdays. The concentration of wildlife that lives around the Luangwa River, at the tail-end of the continent’s Rift Valley, is amongst the highest in Africa. The Luangwa, flanked by a spectacular escarpment, flows through the heart of the park on its way to the Zambezi River. The park is famous for large herds of elephant and buffalo and the river supports big populations of hippos and crocodiles. It’s a wild and beautiful place and it is also usual for visitors to enjoy good sightings of leopard, lion, zebra, African wild dogs and two species unique to this area – Cookson’s wildebeest and Thornicroft’s giraffe. It’s a birding paradise with over 400 species recorded. With no roads, the Luangwa is an excellent walking experience and night drives are also permitted, offering the best chance to spot a leopard. In the “green season” when the Luangwa is in full flow, boat trips on the river are a must. The Villa Rosa Kempinski Nairobi, located within the larger commercial area of Nairobi, commenced operations 01st August 2013 with a soft opening. It’s rated 5 star and among the best of the Nairobi hotels. The hotel has 200 rooms and suites elegantly presented in a fusion of European and Pan-African style distributed throughout 10 floors, including a Presidential Suite on the top floor. 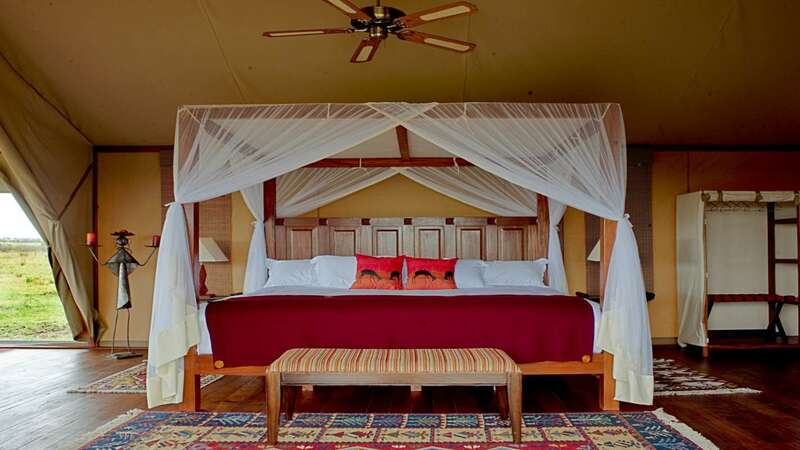 In the Masai Mara, Kempinski took over the formerly Olare Ntiakitiak camp, now renamed Olare Mara Kempinski (located at Olare Orok conservancy, bordering the Masai Mara). It has 12 luxury tents as well as a honeymoon tent. Access is via chartered flight out of Nairobi. Other properties at Olare Orok Conservancy are Porini Camp, Kicheche Bush Camp, Mara Plains Camp, and the now opened Mahali Mzuri belonging to the Virgin Group. The Table Bay hotel is currently refurbishing the Conservatory Restaurant, and will open the doors for the new Brasserie and Wine Bar, ‘Camissa’ on 1 December 2013. Camissa is the ancient Khoi name for Cape Town meaning “The Place of Sweet Waters.” The brasserie and wine bar will be a combination of many facets; a wine bar, brasserie, Captains private dining area and atrium lounge. The design, an authentic interpretation of a typical Brasserie with cast iron table and hints of art deco styled lighting and artwork. The new Wine Bar is adjacent to the restaurant, seen through a window which will be created in the Union Bar, the domed ceiling will accentuate arched shelving displaying a selection of wine and a beautiful wine tasting table.